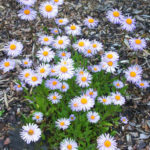 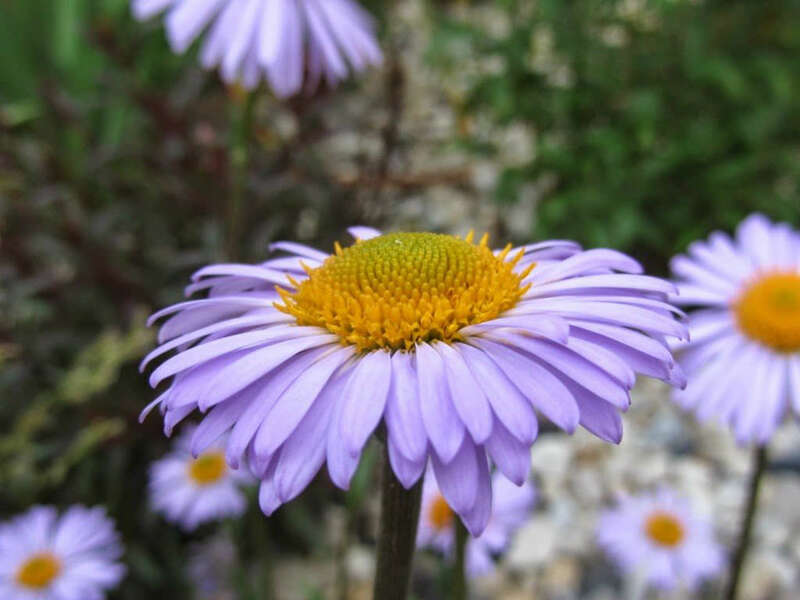 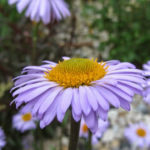 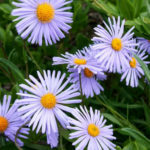 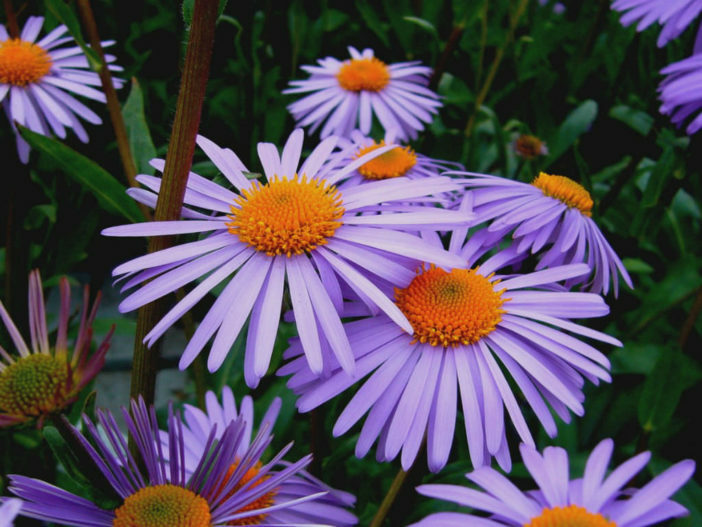 Aster tongolensis is a mat-forming perennial up to 3 feet (90 cm) tall, with thick, almost leafless stems that support solitary, violet-blue ray florets and orange-yellow disk florets. 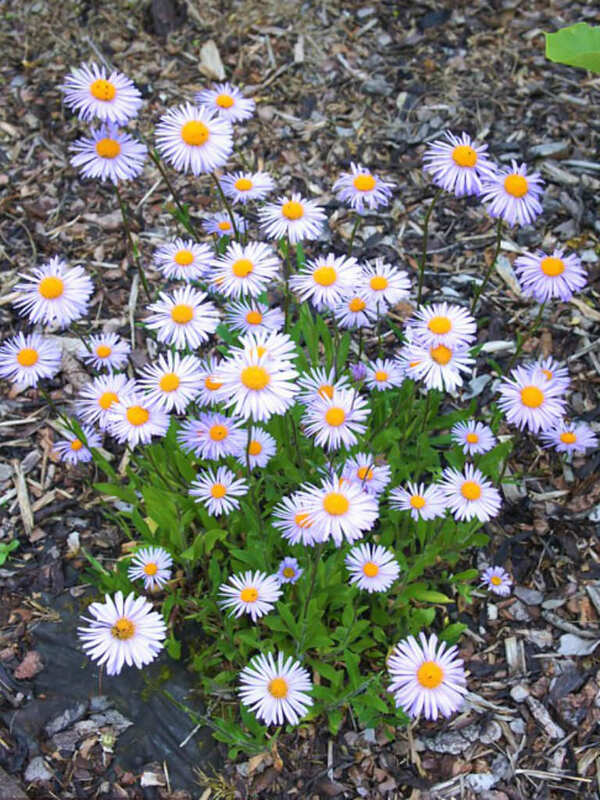 It’s a long bloomer, starting up in summer and continuing through autumn. 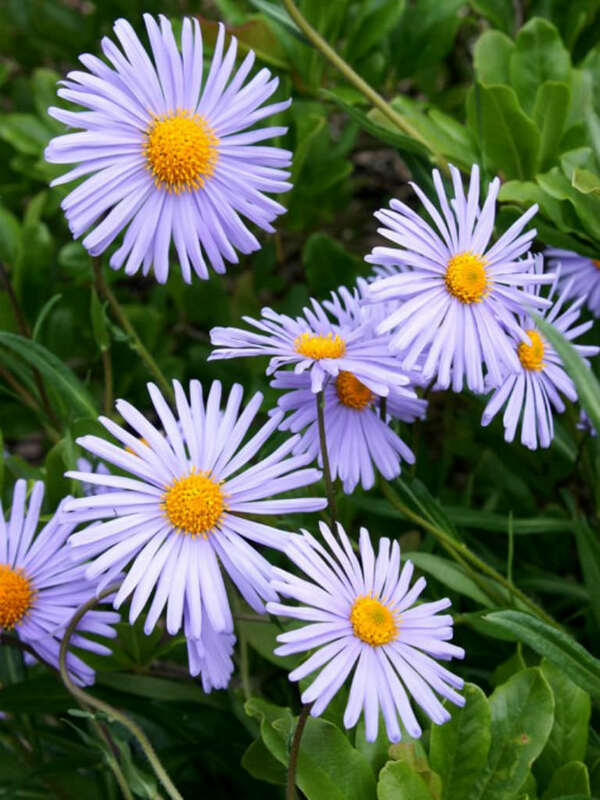 Native to western China and the Himalayas.